Do you want to optimize the services provided to your clients, strengthen your professional relationships, and reduce the risk of litigation targeting you or your healthcare organization? Studies show creating and maintaining healthy boundaries is key to all those goals and is especially important in case management. Coordinating care for people with complex health conditions requires working closely with patients and families who may already be experiencing the stress of serious illness or may be struggling with social determinants such as food insecurity, behavioral health issues, or homelessness. Helping clients navigate those kinds of crises can magnify the risk of boundary violations. Types of unhealthy boundaries in case management including: oversharing, dual relationships; romantic and/or sexual relationships; favorite patients; self-importance; and special exceptions. Check Out These Interactive Case Management Education Opportunities! Care Excellence provides case manager and care manager training built upon a real-world curriculum. Using a multi-pronged approach, these interactive, online and face-to-face courses are designed to train, keep, and improve the skills of care managers and the leadership that guides them. Foundational Series for Health Plan Case Managers – Essential skills for those new to case or care management, and those who would benefit from a review of fundamental knowledge and skills. 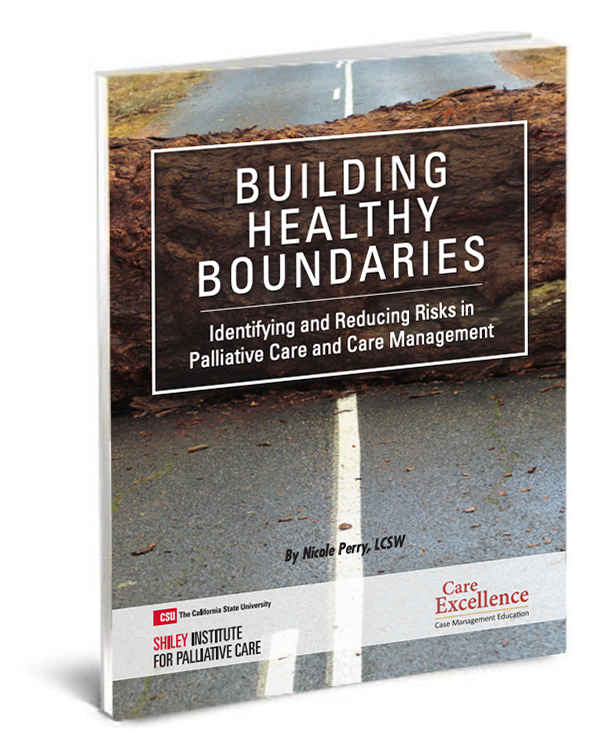 The content is applicable to nurse case managers, social work case managers, and all care managers and care coordinators, working with all patient populations. Foundational Series for Hospital Case Managers – These engaging online courses comprise 18 modules covering the essential skills for case managers or care coordinators in an acute care or clinical setting. Take the full series, or individual courses or modules. Call us for group discount rates. Advanced Concepts – This curriculum is for experienced care managers and other case management professionals working with growing and diverse populations with special and complex needs, whose responsibilities also include decreasing cost of care and improving the member’s quality of care. Leadership Development Series for Health Plans – These in-person courses teach supervisors, managers, and others in health plan leadership how to effectively supervise and mentor their case management teams. Expert instructors come to your location to deliver this powerful training. Leadership Development Series for Hospitals – These in-person courses equip supervisors and team leaders with effective strategies for motivating, mentoring and inspiring care management teams within a hospital setting. Our instructors visit your site to lead this training.